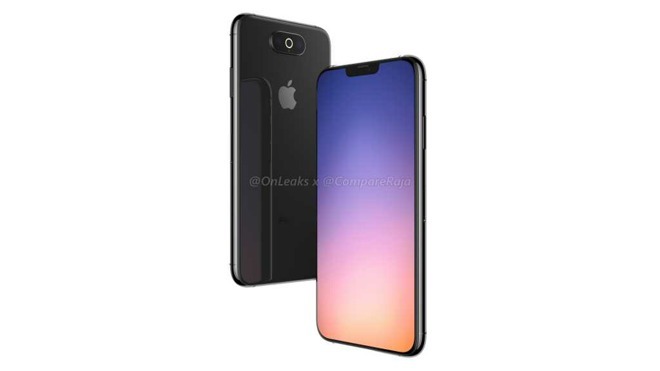 CompareRaja and @OnLeaks recently posted two renders said to represent camera placement on Apple prototypes -- one with a square corner module, the other with a centered horizontal alignment. Because Apple is still in engineering validation testing, it's possible that neither layout could be adopted, even if some aspects of the rumors prove authentic. Plenty lightening cables around so it's all good if 2019 iPhone stays with Lightening port. But in future if Apple going to move iPhone to USB-C than sooner is better. I don't see another physical port standard on horizon unless everyone move to Wirless for charging and Data/music transfer. If Apple can develop a TrueDepth camera that has a narrower point of view it would be a Godsend. Animoji tend to stop working when you get close at normal distances for example. Lightning should be the last port on Apples consumer devices. I hope not. I think the lightning is prefect and there’s very little reason to remove having a port in the next decade. I think the Lightning connector is physically superior to USB-C (having used an all-USB-C MBP since late 2016). I do see the need for USB-3 speeds, especially when setting-up a new phone or pad, but I continue to believe that Apple could engineer that into Lightning in a backwards-compatible fashion. Putting USB-C on the other end of the cable seems more important to me. With my MBP 2 years old and Apple's apparent drive for USB-C, I couldn't believe that my new iPhone XS needed a dongle to connect to my MBP. So let's have a brave drive for the future at the charger/host end of the cable first. You do not require a ”dongle” to plug the XS into your MBP, you simply need a cable. I don't see any reason ever to move the iPhone to USB-C. Wireless charging is the next standard Apple will likely move to, and drop the exposed port concept from their phones entirely. They've steadily been moving to seal it up completely. For the optional need to make a physical connection for a very small portion of Apple's iPhone base, something like the SmartConnector is likely the way to go. For most customers, wireless will suffice to meet all of their needs, and encourage use of Apple's Cloud services -- which after all is a stated goal of their transition away from hardware focused profits. Tim id prefer USB-c so that my apple devices can communicate with each other without multiwire dongle madness. With the move of almost all manufactures to USB-C, that port on a phone makes sense, with one less type capable to have around/carry. But as I'm a fan of the Lightning port I'd rather keep it then swap it for the USB-C. Because I don't see Apple making the phone 100% wireless, having a Lightning port as the last port on the iPhone would suit me just fine. And I find the Lightning connector and port to be less fiddly than any USB port. I have a new iPad Pro with USB-C. I find it noticeably more difficult to insert and remove than any Lightning cable ever. I put my iPhone on a dock every night, if it was USB-C I’m not sure how easy it would be in the dark and with one hand reaching over the side of my bed. I think I’ll miss Lightning if we get a different port. I like the way Lightning clicks into place (and stays there). If I move my MacBook 0 ever so slightly on my desk, the USB-C disconnects momentarily and all my drives unmount uncleanly. This must be a cable thing, I’ve seen it mentioned before but literally all of my USB-C cables/adapters I have so far all click snugly into place and require a fair amount of force to remove from my 2018 MBP. They have them... at least Panasonic does. Enzyme batteries. Problem is they will never use it as it would negate the need to upgrade devices. As I said in another comment here, I expect Apple to keep the Lightning port on the iPhones for another year at least. That said, history would suggest that Lightning will eventually be replaced with something else (and mostly likely USB-C) in the near future. The 30-pin connected was replaced after roughly 10 years. Lightning was introduced in 2012, suggesting that it will be gone from Apple's lineup no later than 2022. But, there's another (very potential) aspect for the future: The iPhone is becoming powerful enough to be the driver of a laptop or even a desktop. Technically, the potential for it to be plugged into a hub with a 27" monitor, keyboard, mouse and external storage exists. Or, previously, somebody floated the idea of a laptop with an iPhone slotted into it in place of a trackpad and the iPhone provided the trackpad, CPU, GPU, memory, storage, and connectivity. Will Apple ever do that? It's not really science fiction anymore. ... I think Steve would have had the guts to do it. I'm not sure that current Apple management does. I think at least ONE iPhone model in 2019 will see a USB-C connector as an introduction (just like the iPad Pro) as Apple seems to be heading in that direction. It is a port problem. The 2016 MBP have hopeless ports, it was improved on the 2017 models. The one that Apple doesn’t include with the iPhone currently. It's really a matter of semantics. If you think about it, a dongle is short cable used as an adapter. The term 'dongle' is typically used to imply that you're converting the plug from one standard to another. USB A and C are certainly standards. If you call the lightning port a standard then the lightning-USB A cable that comes with your iPhone is just a long dongle.